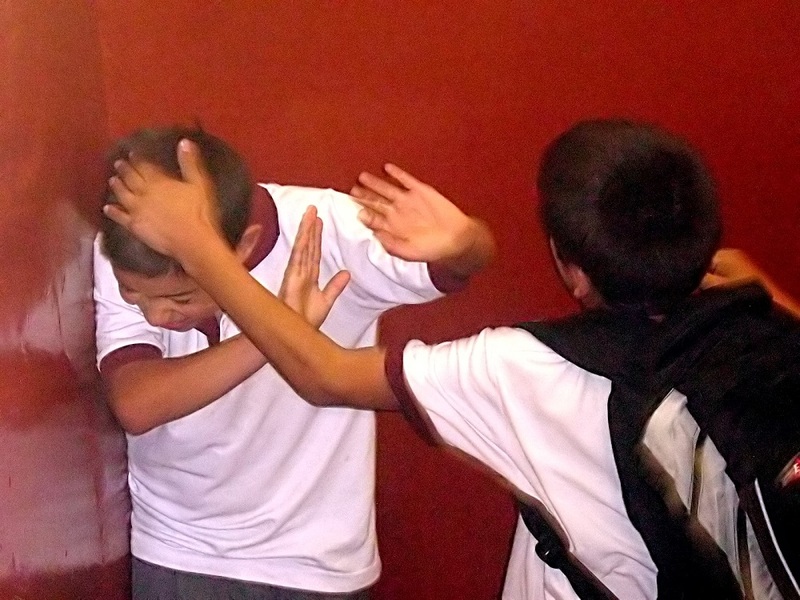 Findings of a new study conducted by researchers at the Duke University together with psychology experts in the UK now suggest that bullying among children is severely detrimental for their long term mental well being. Bullied kids were found to be more likely to report depression and self-harm at the age of 18 than kids who were abused by their parents. Researchers took into account data from more than 5,000 American and British adults who suffered emotional, physical or sexual abuse before the age of nine. This brought them to the shocking conclusion that bullying, usually treated by the society as ‘a rite of passage’ and thus dismissed or ignored, affects a teenager’s mental health more than being maltreated by parents at home. These results were then compared with anxiety reports. Bullied kids were found to be almost around 5 times more likely to experience anxiety (odds ratio 4.9) and are nearly twice as likely to report more depression and self-harm at age 18 (odds ratio 1.7) than children who are maltreated. The study, led by Professor Dieter Wolke, is the first of its kind to directly compare the effects of maltreatment (by adults) and peer bullying in childhood on mental health outcomes (ie, anxiety, depression, self-harm, suicidal tendencies) in young adulthood. With nearly 1 in every 3 kids all over the world suffering from bullying menace, Professor Wolke urged governments to put in a more concerted effort and devote more resources towards tackling the problem. Most efforts, till now, have been focused on family maltreatment rather than bullying. The findings of this study, which has now been published in The Lancet Psychiatry journal, help underline the need to treat name calling, insults and rough-housing by peers among youngsters as serious childhood trauma.